Home UK Festival Awards …and the winners are! London. Rob Da Bank’s Bestival brand continued its meteoric rise picking up the ‘Best Major Festival’ gong for Bestival and ‘Best Family Festival’ for Camp Bestival. the Summer’ award for ‘You’ve Got The Love’. Bestival picking up the ‘Best Major Festival’ and ‘Best Family Festival’ awards respectively. T In The Park got the now legendary honour of being voted the ‘Best Toilets’ while fellow Scots Rockness was voted the ‘Line-Up of the Year’ by a panel of journalists including Ben Walsh (Live Reviews Editor, The Independent), Andy Malt (Editor, CMU), Greg Parmley (Deputy Editor, IQ), Mike Gartside (Associate Editor, Audience/Live UK), Simon Harper (Editor, Clash Magazine) and Dan Fahey (Editor, Virtual Festivals.com). Wayne Hemmingway’s Vintage at Goodwood picked up the ‘Best New Festival’ award while Kendal Calling and Green Man festival picked up ‘Best Small’ and ‘Best Medium’ festival awards respectively. Last but by no means least, Outgoing’s Snowbombing festival picked up the ‘Overseas Festival’ award for its unique mix of music and snow in Mayrhofen, Austria. 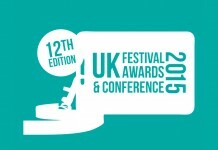 The full list of winners from the seventh annual UK Festival Awards is as follows. In addition to this, a further four award categories were presented during the day at the UK Festival Conference.